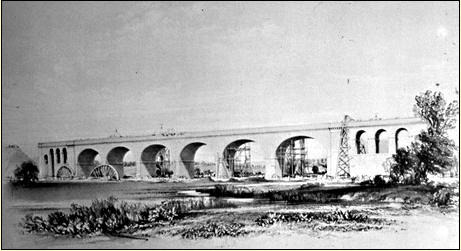 This lithograph, which probably dates from 1865, shows the then new Science and Art Institute. As you can see the extension to the west, evident in the shell photos put up earlier, is a future development. The buildings beyond are the Lodging House (from 1908 the site of the Church Institute) and the schools (part of which is now the library). I have to say that this is an extremely poor photograph, taken against the light and therefore with some nasty lens flare, but it does provide some sort of record. 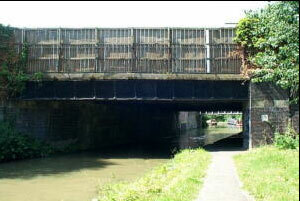 I think the photo dates from 1967 when I came back to Wolverton to discover the removal of the “little streets”. Some high rise blocks had already been erected at the south end of Ledsam Street, so the demolition took place some time before this. You can see that the practice in those days was to leave the land derelict rather than green it over with grass and flower beds. The site is now taken up with the Glyn Square shopping complex. What you can make out from the photograph is the original height of the Church Institute wall, which has now been dropped by 3 feet. 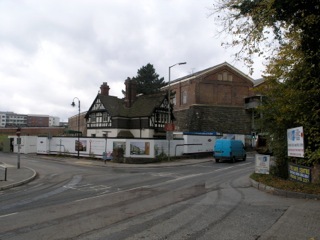 To the right is what was then the Market Hall, formerly the Boy’s School. As you can see it extends beyond its present structure – the Town Hall and Library. The Market Hall, as we knew it, was only open on Friday, and I don’t hink it was ever used for any other purpse. 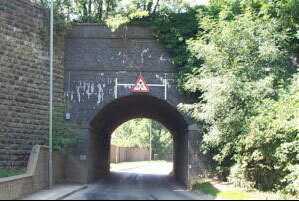 The entrance was through a gate on the Stratford Road. On Fridays the market was teeming. 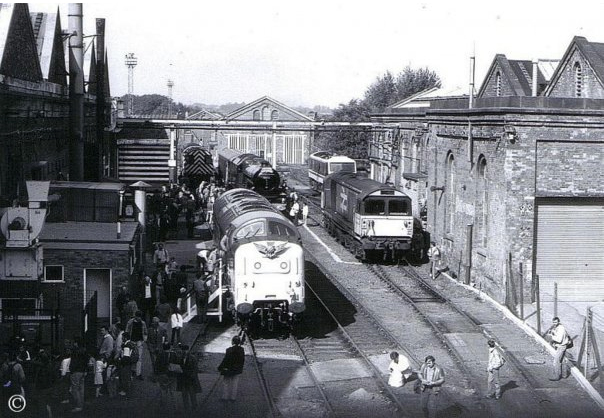 The whole of the yard and all the interior rooms were taken up with stalls on all sides. The stallholders would probably be open for business by 8:30 and remained busy until after 3. On school holidays it was a delight to us boys to go round the market to discover sources of American comics, toys, caps and other silly novelties. United Counties would lay on extra scheduled buses from all the villages on Friday, which would allow women to come in early and leave in the afternoon. As I have remarked in an earlier blog, the weekly market was a significant event. As this is the centenary of the opening of the Church Institute on Creed Street, and MADCAP are celebrating the event, I thought I would post this programme from 1958 – exactly 50 years ago. The G&S production by the grammar school had been an annual event since 1949. The driving duo behind this enterprisewere Harold Nutt, the Music master (pictured above in a woodcut by Peter Lowe the Art and Woodwork teacher) and Robert Eyles, Senior Master and English teacher. Mr Eyles was a good English teacher, although he could be a little tetchy at times. One occasion sticks in my mind because I was on the receiving end of his tongue-lash. he was taking us through a poem and told us that a tabor was a musical pipe. I looked it up in my dictionary and offered, “It says here sir, that it’s a drum.” “What sort of dictionary is that?” he rounded on me, “A Woolworth’s dictionary!” To which of course there could be no response. Anyway, Harold Nutt looked after the musical side and Robert Eyles the acting side, also taking for himself the part that had the clever lyrics – in this case the First Lord of the Admiralty. The pair were also good friends as well as colleagues and ould regularly meet up in the Saloon bar of the Vic on Sunday lunchtime. The school orchestra rehearsed separately from the cast until about a week before the event. I think there were about three performances and the Church Institute hall was packed always. The orchestra took up its place in front of the stage, roughly in the area now taken up by the thrust stage and the whole cast managed on what is quite a small stage. I think the the school’s G&S productions were performed in the Empire theatre in the early years, but I suspect that the cost became too high. In 1956, G&S was dropped for a production of a play called “Lady Precious Stream” produced by the history teacher, Oscar Tapper. Music still featured, as Mr Nutt composed (or perhaps orchestrated) some entracte music for the occasion. The musical production returned in 1957 with “Lilac Time” based on the story of Franz Schubert, and of course using his music. And in 1958, the witty and popular Gilbert and Sullivan mad their return to the Church Institute stage. Last week I visited the Church Institute, probably for the first time in 50 years. It is now MADCAP Centre for Performing Arts; structurally, the building is little changed. The stage is a proscenium arch type and was the only kind known to our Edwardian forebears, but the present incumbents have built a thrust stage in front of that to give themselves more production flexibility. Modern lighting hangs from the ceiling tie rods and modern blinds have replaced the old blackout roller blinds. The parquet wood block flooring is original and has now lasted exactly 100 years. The architect was John Oldrid Scott, who, like his more famous father, was responsible for the design of an extensive range of ecclesiastical architecture across the country. I’ve written about the Church Institute before, but I now want to reflect on its role in theatre production. Typically theatre was not a very accessible experience for Wolverton’s inhabitants. Only large towns and cities had professional theatre companies in the 1950s. Northampton was relatively close with the Repertory Theatre and the New Theatre. 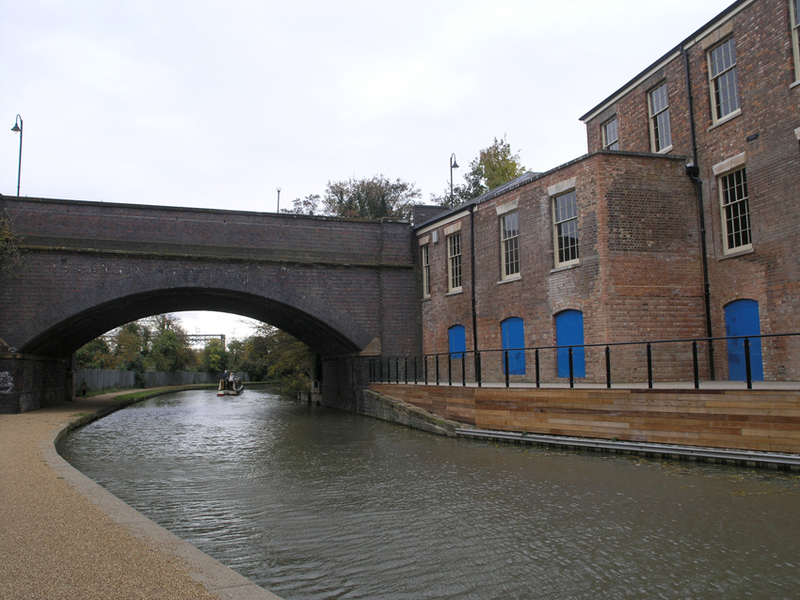 Oxford offered the only other provincial alternative, otherwise it was London. I do not recall Bedford having a professional theatre. 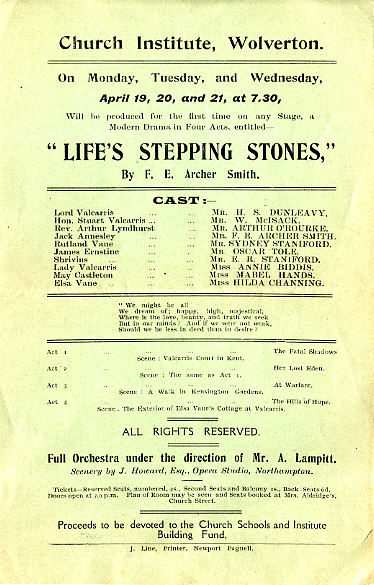 The Northampton rep. used to put up weekly posters outside Dimmocks Grocery store on Aylesbury Street, so they must have attracted some regular theatre-goers from Wolverton. The New Theatre was, I believe, largely given over to Variety Shows. I have some photographs of my father singing there in the 1940s which would suggest that this was so. I do recall going to see pantomime there as a child. Repertory theatre was probably very hard work – rehearsing next week’s production during the day and performing the current production at night, with two weekly matinees. I think we were taken to see a Shakespearean production once as a school party and I know that on my own initiative I went to see the rep’s production of Sheelagh Delaney’s “A Taste of Honey”, which was the hot play of 1958. 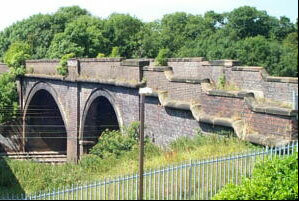 But back to Wolverton. I think touring companies would come through every now and then. I do remember the D’Oyly Carte touring group coming to Wolverton in the late 40s, because my mother boarded some of them in our house. This was my first encounter with thespians. 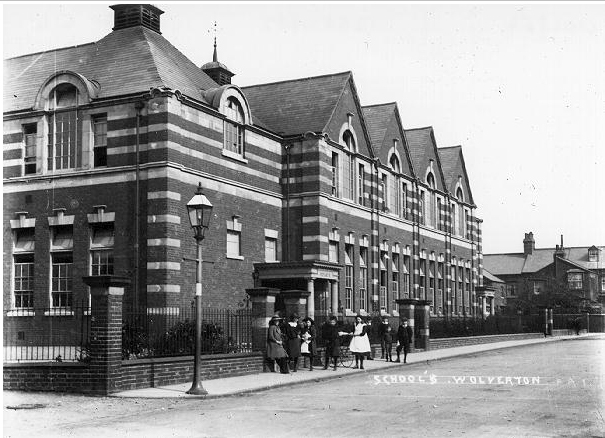 Touring Variety Shows also came to Wolverton and usually performed on the stage at the Works Canteen. Local amateurs and semi-professional entertainers frequently put variety shows together; several were held at the Top Club. 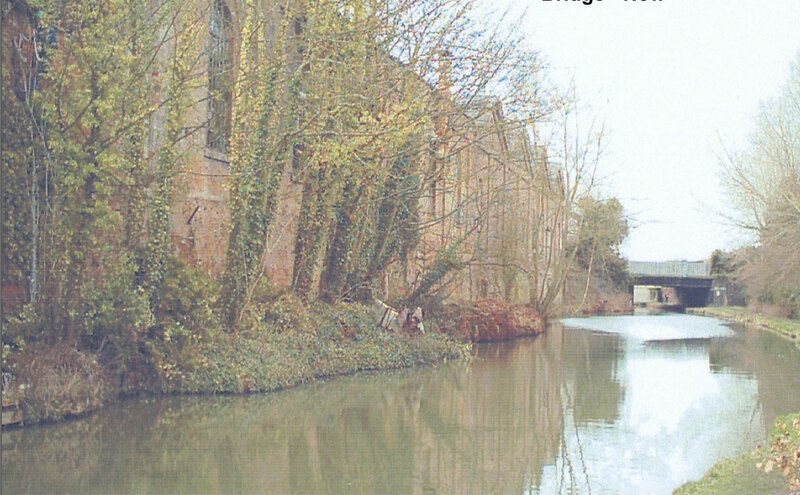 This view of the church was not available from 1864 to 1970. It was hedged by the Science and Art Institute on the north side (this view), Creed Street on the east, Buckingham Street on the west and the Vicage grounds on the south side. Early drawings of the church were quite at odds with my personal experience in the 1940s and 50s. It was really difficult to step back far enough to get a good view. I suspect that there was a pathway to the church from Church Street in the 1850s, which would have given more credence to the naming of this street. As a boy in Wolverton it made no sense to me that the church was not on Church Street. 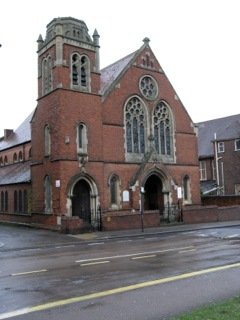 The most used entrance to the church was from Buckingham Street. Parishioners from the little streets would come through the lych gate on Creed Street and into the entrance on the north side. When I took this picture this year I was struck by how much was visible from Creed Street. On closer inspection it became obvious that the wall had been lowered by three or four feet. 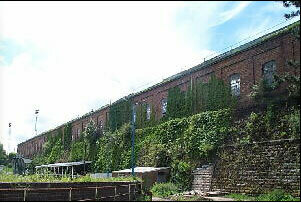 In my childhood and youth the building was always surrounded by a high wall. The Church Institute was built in 1908. Downstairs it had some large meeting rooms and offices’ upstairs a stage and auditorium. 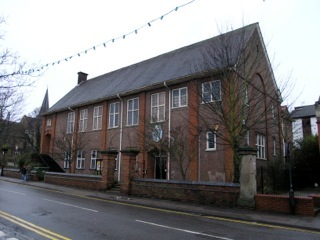 The stage was used for amateur dramatics (the St George’s Players), concerts, the annual Gilbert & Sullivan production by the Grammar School and various other functions like flower shows. It was one of four stages in the town – the others being the top club, the Works Canteen and The Science and Art Institute. The Works Canteen was by far the largest auditorium and was used whenever a large audience would be expected, such as the Remembrance Day concert, which in the 1950s was always well attended. The Science and Art Institute hall was used for dances and exhibitions. All, with the exception of the Works Canteen, could only be reached by stairs – wheelchair accessibility had not entered anyone’s mind in those days. I was packed off to Sunday School in the 40s and 50s so I was a regular user of the Church Institute. 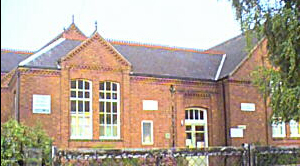 Later I appeared in the Grammar School orchestra in Harold Nutt’s annual G&S productions and the downstairs rooms were used as an examination hall for GCE. Sunday was not my favourite day. We were not allowed out to play because our noise might disturb the hard-earned rest of Wolverton’s citizens. The same strictures applied to all my friends, so you would see them for six days a week, but never on Sunday. However we were bundled off to Sunday School – probably for 9:00 am. This picture was taken in October 1948 to mark the occasion of the 100th anniversary of the Sunday School in Wolverton. I am guessing. The inscription in the book of Common Prayer I was given to commemorate the occasion refers to the “Centenary Festival”. 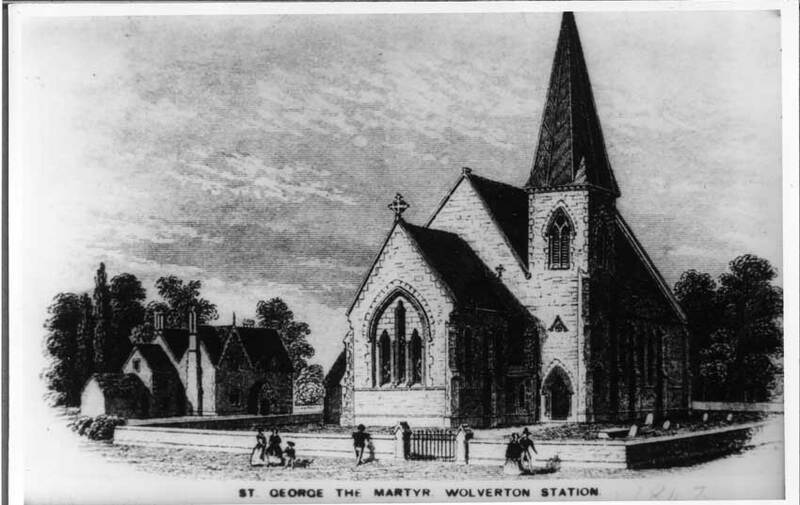 Since St. George’s foundation stone was laid in 1843, iy cannot be this – unless 1848 denoted the completion of the church. I can identify many of my contemporaries in this picture but I won’t name them here because of the quality of the image. 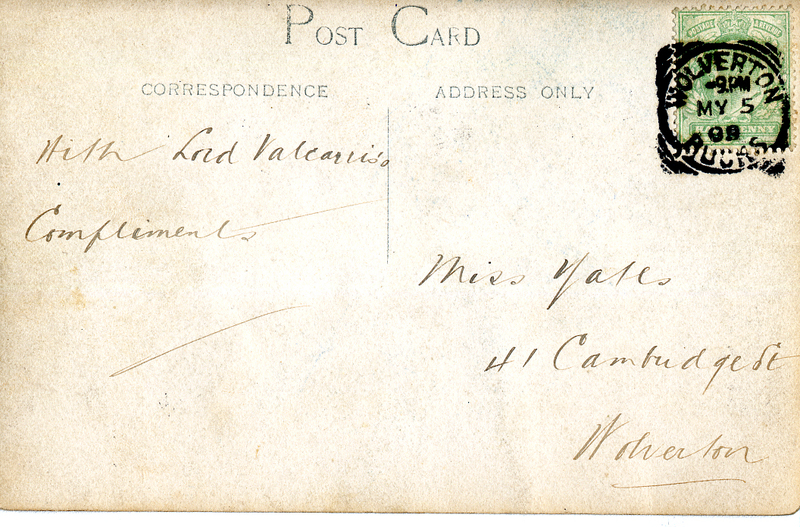 The Vicar at the time was C. Oscar Moreton. I think he retired a few years later. The curate I cannot identify, nor the woman in the centre who was probably the Sunday School Superintendant. She retired from this duty shortly after and was succeeded by Mr. Eales. At Sunday School we learned the ten commandemnts by rote and the Catechism. We were also told various bible stories with explanations of the significance. Some concepts, like the Trinity, were hard for young minds to understand. I think I got God the Father and God the Son, but I could never get my head around God the Holy Ghost. Usually we were broken up into groups by age and taught whatever was appropriate by one of the teachers, the we would come together for some sort of assembly led by Mr Eales. Mr Eales was a tall, lean, earnest man and was a very committed Christian. He spoke more than once of his ambition to travel to the Holy Land (difficult enough in those post war years) and I believe he achieved this dream. His son Stephen, a year older than I, was musically talented, and apart from playing the clarinet alongside me in the school orchestra, played the church organ in his late teens. 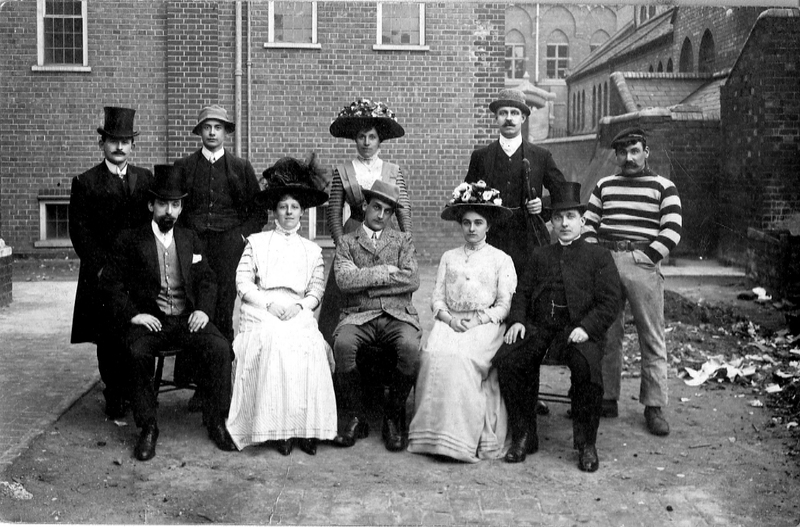 The photo would suggest that the school was quite well-attended in those days but this was only a section of the population. The photo was taken in front of the stage at the Church Institute. The stage was conventional for the period with a proscenium arch and a small apron with steps on either side. Note also the wood block parquet flooring. I must have spent a few years in Sunday School because I can remember going there first and then going to church to sing in the Church choir at sung eucharist. Sunday school at 9; Church at 10:30; home by 12 for the Billy Cotton Band Show. That was Sunday morning!